Eat wisely. Drink enough water. Do yoga. Walk, run, ride a bike... All common tips for how to live a healthy life. One important tip not commonly heard: Clean your house, your carpets, window treatments, upholstery and furniture professionally at least once every two years - more if you have small children, house pets. In fact, carpet cleaning in Los Angeles, where the windows are open more than they are closed, should be carried out even more frequently. Health threats found in carpeting and upholstery stem from a variety of sources. Below are some common causes and ways to deal with them. Vacuum regularly and often. When changing bags or cleaning vacuum filters and dirt receptacles be sure to work in a well ventilated area and if possible, wear a mask to avoid accidental inhalation of dirt and dust. 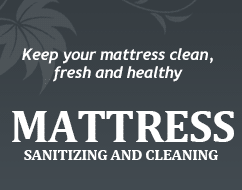 Steam cleaning can be safely used on practically any carpet or upholstery fabric or fiber and will deliver excellent results without the use of detergents or chemicals. If you have pets, purchase a good quality steam cleaner and use it once every two to three months. When renting a machine, or if you hire a professional company, double check that they use green methodology. Trade in harsh over-the-counter stain removers for gentler, yet effective, home remedies. 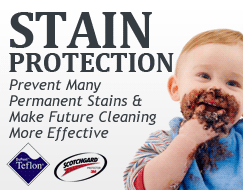 The first step in treating any stain is to try and avoid it by cleaning up spills as soon as they happen. A solution of vinegar and water (1 tsp: 1 liter) works well on most wet stains. If the spill has already dried, make a paste of baking soda and water, apply it to the spot, let it dry and then brush and vacuum. If it doesn't work the first time, you can try again, or try a different paste that uses laundry detergent in place of the baking soda. * Note: Before applying purchased or homemade stain removers to your carpet or upholstery, check on an inconspicuous area for any unwanted reactions. Good ventilation is very important when cleaning - even if you are not using harsh cleaning agents, dust stirred up during the cleaning process can cause sneezing and coughing. Keep the windows open or run the fan. 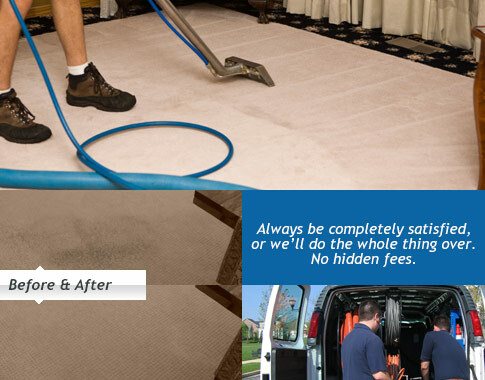 Clean your carpets today and breathe easier right away.